Free-standing ERs tend to have lower standby costs than hospital-based facilities that have to be ready to treat dire injuries. But the free-standing ERs typically receive the same Medicare rate for emergency services. Free-standing emergency departments have been cropping up across the U.S. in recent years and now number more than 500, according to the Medicare Payment Advisory Commission, an agency that reports to Congress. 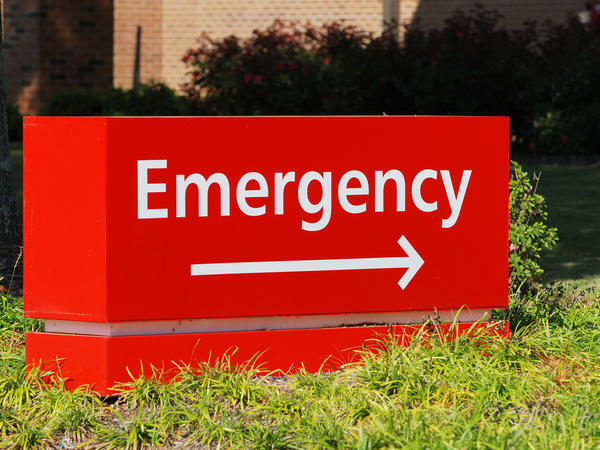 Often touted as more convenient, less crowded alternatives to hospitals, these ERs often attract suburban walk-in patients with good insurance whose medical problems are less acute than those who visit an emergency room that's inside a hospital. If a recent MedPAC proposal is adopted, however, some providers predict that the free-standing facilities could become scarcer. Propelling the effort are concerns that MedPAC's payment for services at these places is higher than it should be, since the patients who visit them are sometimes not as severely injured or ill as those at hospital-based ERs. The proposal would reduce Medicare payment rates by 30 percent for some services at hospital-affiliated, free-standing emergency departments that are located within 6 miles of an emergency room within a hospital. "There has been a growth in free-standing emergency departments in urban areas that does not seem to be addressing any particular access need for emergency care," says James Mathews, executive director of MedPAC. The convenience of a neighborhood ER may even induce demand, he says, calling it an "if you build it, they will come" effect. Emergency care is more expensive than a visit to a primary care doctor or urgent care center, in part because ERs have to be on standby 24/7, with expensive equipment and personnel ready to handle serious car accidents, gunshot wounds and other trauma cases. Even though free-standing ERs have lower standby costs than hospital-based facilities, they typically receive the same Medicare rate for emergency services. The Medicare facility fee payments, which include some ancillary lab and imaging services, but not reimbursement to physicians, are designed to help defray hospitals' overhead costs. According to a MedPAC analysis of five markets — Charlotte, N.C., Cincinnati, Dallas, Denver and Jacksonville, Fla. — 75 percent of the free-standing facilities were located within 6 miles of a hospital that has an ER. The average drive time to the nearest hospital was 10 minutes. "I think [the MedPAC proposal] is a move in the right direction," says Dr. Renee Hsia, a professor of emergency medicine and health policy at the University of California, San Francisco, who has written about free-standing emergency departments. "We have to understand there are limited resources, and the fixed costs for stand-alone EDs are lower," Hsia says. But hospital representatives say the proposal could cause some free-standing ERs to close their doors. "We are deeply concerned that MedPAC's recommendation has the potential to reduce patient access to care, particularly in vulnerable communities, following a year in which hospital EDs responded to record-setting natural disasters and flu infections," says Joanna Hiatt Kim, vice president for payment policy at the American Hospital Association. Independent free-standing emergency departments — those not affiliated with a hospital — would not be affected by the MedPAC proposal. Those facilities, which make up about a third of all free-standing emergency facilities, aren't clinically integrated with a hospital and can't participate in the Medicare program. The MedPAC proposal will be included in the group's report to Congress in June. Proponents of stand-alone emergency facilities say they often provide lifesaving care, even without a clientele of acute trauma patients. Friedenson says, for example, that being able to avoid the 15- to 20-minute drive to the main hospital made a critical difference for his emphysema patient. "By stopping at our emergency department, I truly think her life was saved," he says.